Euroseas has revealed it renegotiated lower charter rates for two containerships. 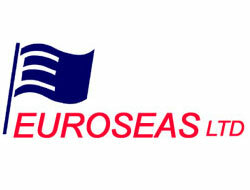 Nasdaq-listed Euroseas has revealed it renegotiated lower charter rates for two containerships. 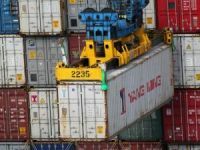 The deal is one of the first renegotiations to be made public in the troubled container sector, but it is understood that many others are yet to be revealed. It comes as the number of ships in the global fleet without employment has doubled over the past four weeks. The Euroseas ships" rates paid by the charterer, Orient Express Lines of Dubai, have dropped by around one third. Brokers have long reported pressure from lines to renegotiate their long-term time charters, after rates dropped by as much as two-thirds over the last year. The move to lower already-negotiated charters is viewed as highly unusual, and was not reported during the last industry downturn of 2002. Euroseas revealed that the deal was agreed in early November. 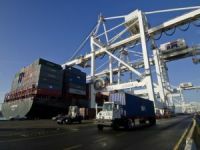 This suggests that others have since renegotiated charter terms privately amid the rapidly deteriorating economic outlook on key container trading routes. The new rates were agreed at the line"s request, said Marcos Vassiliikos, managing director of Euroseas affiliate, Eurobulk. ?We want to have good relationships with our charterers,? he said. ?They came to us, and asked for a negotiation... and we decided to assist them as much as we can and we lowered our rates so they can have an easier time.? He said there were market rumours of charterers approaching other owners with similar requests. 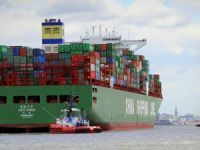 There are now 210 idle ships of 550,000 teu capacity as of January 5, according to ASX-Alphaliner"s latest data. This is about 4.5% of the existing fleet teu capacity and almost double the 135 ships of 300,000 teu capacity reported on December 8, and 165 ships on December 17. The global boxship fleet is currently around 4,700. 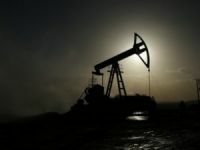 About 125 of the 210 ships are vessels with charters that have recently expired but have not been renewed, and do not have employment, ASX Alphaliner reported. Euroseas reported on Monday that the rate now paid for its 1992-built, 1,742 teu OEL Transworld has fallen from $18,500 per day, to $12,000 per day. The vessel was taken on a one-year charter due to expire in 2009. There is now an option for a further year"s extension at $10,000 per day. Rates paid for another Euroseas containership, the 1990-built, 1,932 teu OEL Integrity, have also dropped by one third, from $16,500, to $11,000 per day. The ship was taken for 18 months, and was due to expire in October, 2009. There is an option for the term of the charter to be extended for a further six months at $7,000 per day. 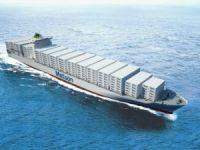 Euroseas said in its most recent investor presentation on November 25, that it had nine container vessels, of which two were operating in the spot market.